It's another late one and a good one at that, as Cloanto have released a new update version of Amiga Forever as Amiga Forever 7 (2017). 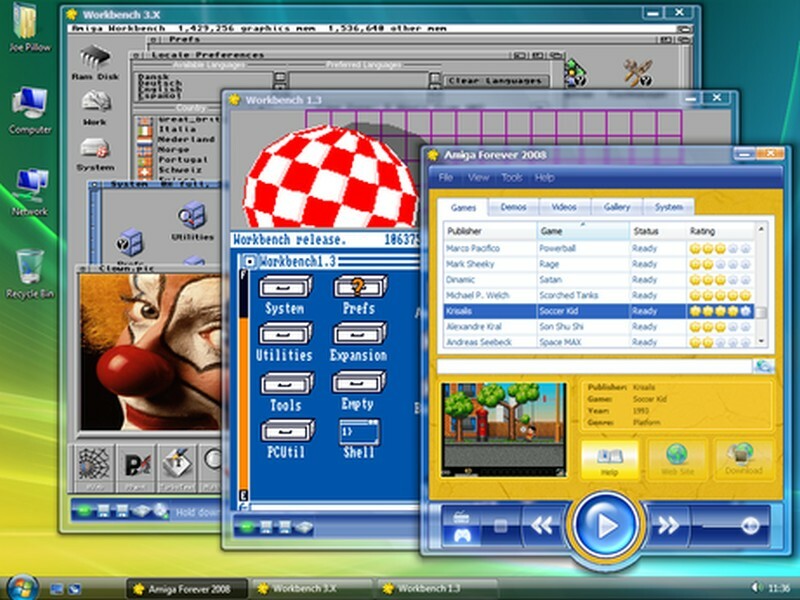 Regarded as one of the top Amiga emulation software packages for the home computer and also from the same team behind C64 Forever, this latest version brings it bang up to scratch with a large list of fixes and improvements that you really should be updating to if you want the very best in Amiga preservation, emulation and support packages! The Tools/Options dialog contains several new tabs, sections and settings, including new controls for emulation, input, graphics and audio. The help tips make it easy to explore the new options: just pause the pointer over the desired feature to view context-specific help. All general keyboard shortcuts (escape, pause, turbo, screen capture, etc.) are now grouped in the General section, under Tools/Options/Input. General (not title-specific) game controller options can also be set in Tools/Options/Input. These global settings are defined as profiles, with features dedicated to standard game controllers (e.g. joysticks), keyboard layouts (e.g. direction and fire keys which can be used if your PC doesn't have a joystick) and arcade controllers (including presets for X-Arcade and I-PAC devices). Input profiles provide abstraction and increased compatibility, as they can be used and changed at runtime without having to modify actual titles, while retaining preferences even if the hardware changes. The individual titles retain maximum portability across systems. To edit title-specific input settings, right-click a title, select Edit, and open the Input tab. Emulated devices and buttons can be reconfigured here, if necessary (e.g. to swap joystick ports or fire buttons on a per-title basis). New input options include multitap ports (i.e. extra joystick adapters). Virtual buttons make it possible to fire keyboard actions based on host game controller actions, e.g. to joystick-enable non-joystick games, or to use extra controller buttons for titles that used a mix of joystick and keyboard controls. Autofire (more broadly, autorepeat, as it works on any key) can be enabled and adjusted here as well. If you are curating content for mobile and touch-screen playback, mark buttons that are not used as Unused. The main player window can now be closed without affecting any open emulation sessions (playback windows). Titles launched from Windows File Explorer now just open the playback window, without also opening the main player window. Use the "Open main window" button at the top left of the playback window to open (or close) the main player interface. All emulation environments now support Type Clipboard Text (in the Tools menu of the playback window), which "pastes" clipboard text by simulating fast keyboard typing. The feature is Unicode-aware and automatically translates between different host and guest keyboard layouts. Support for Japanese Commodore systems is included as well. To set the guest keyboard layout, right-click the title, select Edit, and select the Guest layout in the Input tab. For Amiga systems, you need to make sure that this matches the layout set via SetMap or SetKeyboard. For CBM systems, the correct ROM is automatically used based on the title selection. If you have a very fast (or very slow) system, you can manually adjust the Typematic rate setting under Tools/Options/Emulation. The default internal audio frequency can now be switched between 44.1 and 48 kHz with the new Tools/Options/Emulation/Audio/Preferred Sample Rate setting. If you are aiming for perfect sound quality, you can adjust this to minimize resampling overhead, taking into account the native frequency of the sound board. The new Show Manifest/Show Changes button in the title editor helps power users be in full control of configuration, description and other details.